I am a carb lovin’ girl till I die and if I could live off of potatoes and pasta, I would… well I practically do. And adding a side salad doesn’t exactly excite me, but I found something that does! This juice is super simple and sOoOoOo tasty. And you can’t use the excuse that you don’t have a juicer, because neither do I! They’re expensive and hard to clean and Lord knows, I ain’t got time for that. I use my vitamix! (And while these are also pricey, you can get a lot more use out of them then just making juice.) You will need a high-speed blender as other blenders won’t give the same smooth consistency. 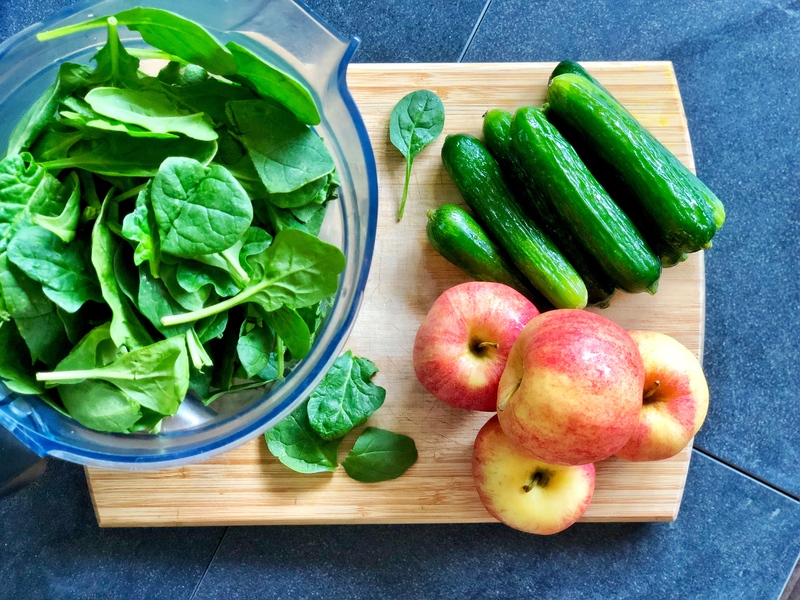 If green juices are normally too earthy for you then this one will be a perfect! 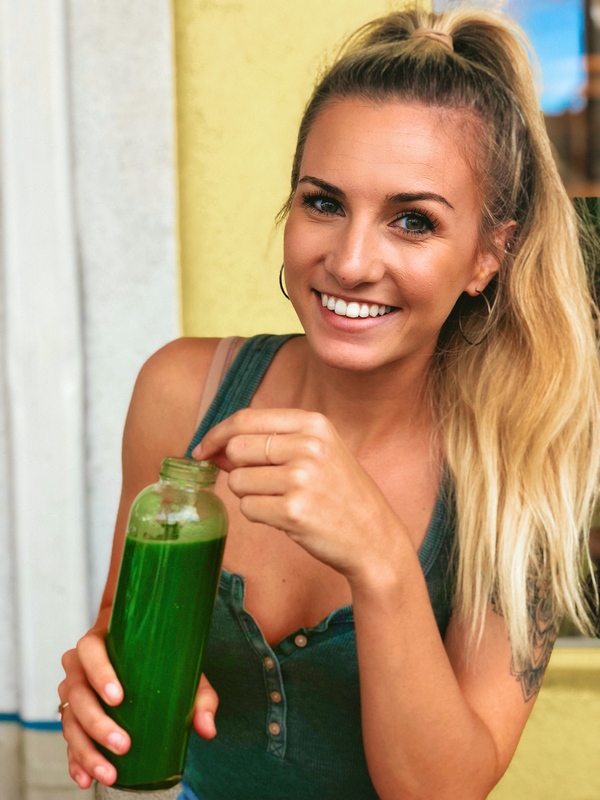 Or any juice with spinach as the main green, because spinach is the most neutral tasting, you won’t even know it’s there. As far as getting a nice smooth consistency, you’re going to need either a cheese cloth or nut milk bag. I bought these ones off amazon that I love because they also double as produce bags that I take to the grocery store to cut down on plastic waste. and a Healthy immune system! Speaking of improved gut health, when it comes to skin issues, the gut is often overlooked. Your skin being your largest–and most visible– organ, we can often look to it for an idea of what is going on inside our bodies. Our gut is responsible for absorbing nutrients for growth and repair, as well as ridding our bodies of harmful bacteria. When the healthy bacteria levels of the gut are off-balance the body can’t absorb the nutrients we are feeding it. If your body is not absorbing enough healthy fat and protein, it can leave your skin feeling dry and dull or even lead to eczema. 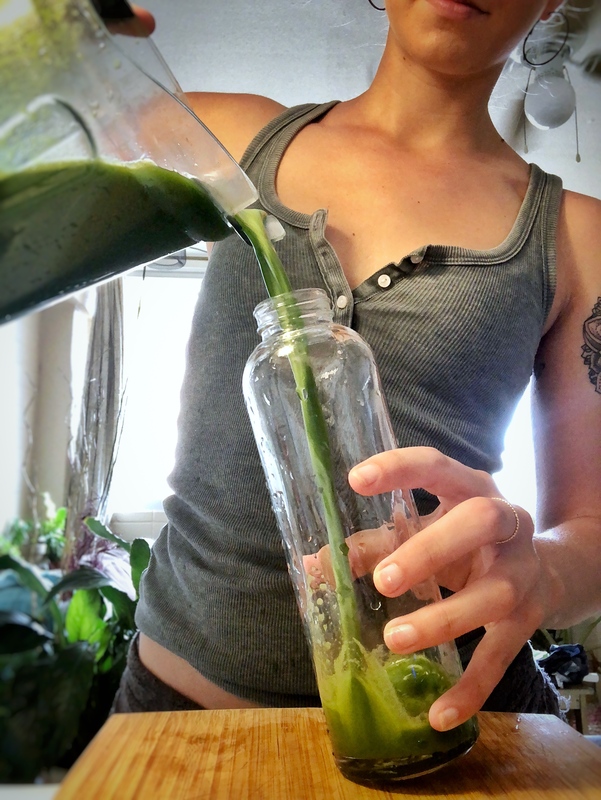 And if the body can’t absorb the good stuff to get rid of the bad stuff… well, I think you get the idea. Roughly chop apples and cucumbers so the blender can easily break them down, discarding of the apple cores. Blend until very smooth. If your blender is having a hard time, use the tamper to push ingredients down into the blade. Add spinach and blend again until smooth. In batches, pour your smoothie mix into a clean nut milk bag over a bowl and squeeze out the juice. Be patient with this, you want to get out as much of the juice as possible! Refrigerate and enjoy! This will keep for 4-5 days. ← butternut squash orzo salad.